An impressive four piece blues band with players from all over the USA. They sing and play with a passion that can only come from living the blues. 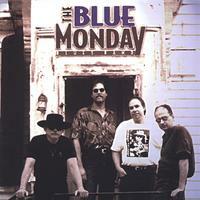 Blue Monday covers selection from pioneers such as Muddy Waters, Elmore James, Willie Dixon and Little Walter as well as more contemporary artists like Stevie Ray Vaughn, Mark Hummel, Charlie Musselwhite, and Smokin’ Joe Kubek.